Peg Kehret enjoys a dual profession: playwright and novelist. Her funny, heart-warming plays have been produced in all 50 states and Canada, while her books for young people have earned a wide readership and critical acclaim. As a freshman in high school, Peg was cast as a hillbilly granny in a one-act play. It was so much fun that she tried out for every subsequent school play. If she didn't get cast, she worked backstage. The Theatre Bug bit Peg... big time! After co-producing plays (at the community theatre level) and acting (in a touring company), it was only natural that when it came time for Peg to flex her writing muscles, she would begin to write for the theatre. Peg says that she would rather write than do almost anything else, and she has published forty-six books for middle grade students, including four drama books for kids. Among her many honors are the PEN Center Award in Children's Literature, The Golden Kite Award from the Society of Children's Book Writers and Illustrators, the Forest Roberts Playwriting Award, the Henry Bergh Award from the ASPCA, and more than fifty state young reader awards, where students in various states voted for their favorite book. 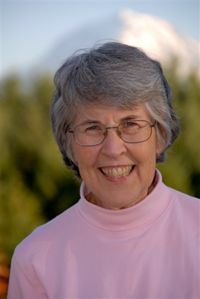 Peg has two grown children and four grandchildren, and she lives in Washington State. To learn more, please visit Peg Kehret’s website.